FEIN Dustex Fleece Filter Bags - 5 Pack - For Dustex 35L. 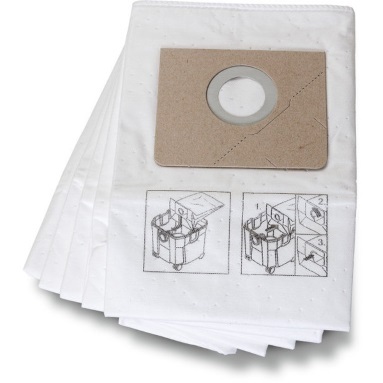 FEIN fleece filter bags - for easy removal of dust and debris from Dustex vacuum cleaners. For use with FEIN Dustex 35L (Turbo L model) dust extractors. The tear-resistant fleece bags work with the cartridge filter to ensure the collection of debris. For wet or dry use.